The support group Every Life Counts has warmly welcomed the submission of the UN Committee on the Rights of Persons with Disabilities (CRPD) which says that allowing abortion on disability grounds violates the UN Convention of the Rights of Persons with Disabilities. Tanya Coonan of Every Life Counts said that parents were very pleased that the UN Committee had also rejected the 'incompatible with life' label which she said was used to dehumanise and discriminate against babies with a severe disability. Parents whose children have been diagnosed with life-limiting conditions have hit out at what they describe as “UN interference in Ireland’s abortion laws” – adding that the international body was “outdated” in failing to realise that new evidence showed better support and care, not abortion, was the compassionate answer in these difficult situations. Parents whose unborn babies have been diagnosed with life-limiting conditions such as anencephaly and Trisomy 13 understand all too well the power, and the potential harm, of language. These babies are alive and kicking at the time of diagnosis, and their severe disability should not be used to undermine their right to life. Yet parents often feel towards pushed abortion by the use of misleading phrases like 'incompatible with life', which add to the fear and uncertainty families feel for their baby. "I felt those words took her life from me there and then," one mother has testified, and others have spoken powerfully at the United Nations calling for an end to these discriminatory and hurtful phrases. Yet, as the media debate on abortion escalates in Ireland, we've seen a sharp increase in the use of upsetting and medically meaningless labels like 'fatal foetal abnormality' and 'incompatible with life'. These are not medical phrases, they are not, as Professor Jim Dornan pointed out , found in any medical textbook. As he put it: " we are all fatal, and a life of a few minutes can be as perfect as a life of sixty years". The Geneva Declaration on Perinatal Care which acknowledges that the phrase 'incompatible with life' is not a medical diagnosis has been signed by hundreds of medical professionals, and research in peer-reviewed journals recognises that there are no conditions which can be correctly described as 'lethal' or 'fatal' since babies do live beyond birth, even with the most severe disabilities. Yet these phrases are still continuously used by abortion campaigners in order to dehumanise babies with a severe disability; to make them appear less than human and to justify taking away their right to life. Babies like ours are being used, it seems, as a means to overturning Ireland's Constitutional ban on abortion. For the many thousands of Irish parents who have lost their beautiful and much-loved babies to these conditions, this has been a difficult time, and it is appalling that they have had to endure their children being described by words that are hurtful, cruel and offensive. Yet they have persisted in asking for respect to be shown to their children, and for the more correct phrase, life-limiting conditions, to be used. They have also campaigned for better care to be made available for families who face such a devastating diagnosis, focusing on the life-affirming alternative of perinatal hospice care, and seeking improved bereavement counselling services to help families through the heartbreak. Now a major new report from the HSE has noted that there is "no agreed definition of phrases such as 'fatal anomaly'," and that "neither is there a legal definition for fetal anomaly that maybe fatal, or an agreed list of conditions associated with fatal fetal anomaly." Furthermore, it notes that "an assessment of the seriousness of a fetal abnormality should be considered on a case-by-case basis, taking into account all available clinical information." The HSE's Standards for Bereavement Care says that it chose to use the term 'life-limiting condition', a term consistent with the National Policy on Palliative Care for Children with Life-Limiting Conditions, and also notes that the term parents prefer should not impact on bereavement care. 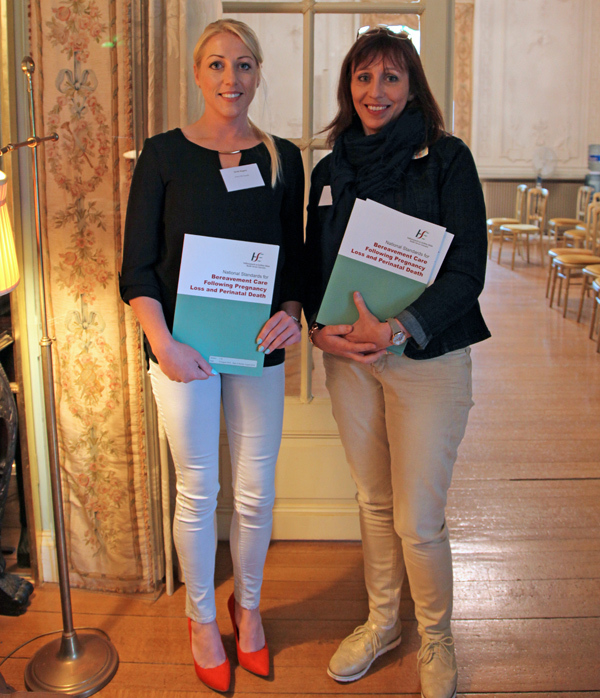 Most importantly, the Standards set out that bereavement care must be an integral part of Ireland's maternity services, and stress the important role that healthcare professionals play in providing a caring and compassionate response to parents. The guidelines emphasise the need for sensitive and accurate communication, and state that written information must be made available regarding the condition affecting baby. Where baby has been diagnosed with a life-limiting condition, the guidelines state the Bereavement Support Team will assist parents in making the most of time with baby before birth; will discuss memory making; talk through sibling involvement in accordance with parents' wishes; make arrangements for counselling and support; make a birth plan; and more. 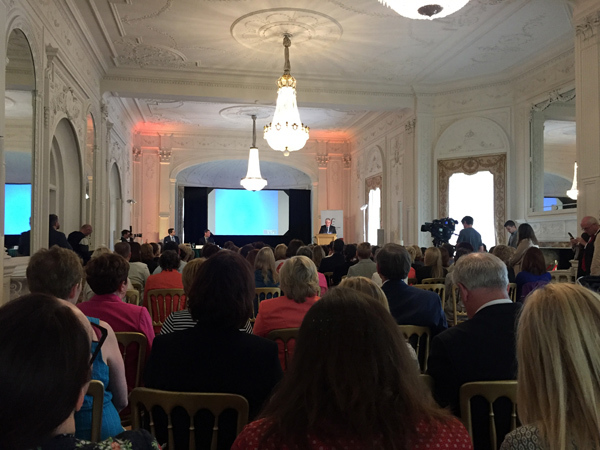 The announcement that additional funding will be made available to recruit badly-needed bereavement specialist teams for maternity hospitals and units is also very welcome. The HSE team who worked on the Standards gave a great deal of time to listening to parents whose babies had died, and to suggestions for improvements. Their kindness and consideration is to be commended, and these Standards are an important step in ensuring that full perinatal hospice care is made available in all maternity units in the country. Because language is so important, it is hugely significant to families that the Health Service Executive decided to make use of the correct terminology and, throughout the Standards, described babies as having a life-limiting condition rather than being a 'fatal abnormality'. That some media commentators publicly opposed parents in this matter is almost incredible. It seems that the distress and, even worse, the misinformation caused by the use of these terms is irrelevant to those who want to misuse language to liberalise abortion laws. As I noted recently in the Irish Times, it would be inspirational if a fraction of that time and energy was given to working towards better supports and care for parents whose babies are very sick and may not live for long after birth. Our children's lives may be limited by a devastating medical condition, but they are not 'fatal abnormalities' - they are children whose lives have value, and who are compatible with love. Parents whose babies have been diagnosed with life-limiting conditions such as anencephaly and Trisomy 13 have said that the HSE’s revised Standards on Bereavement Care for maternity units show the need for improvements in care where a baby may not live for long after birth. “My baby Isabella lived for 54 days after birth, and my heart broke when she died, but I never received any counselling. 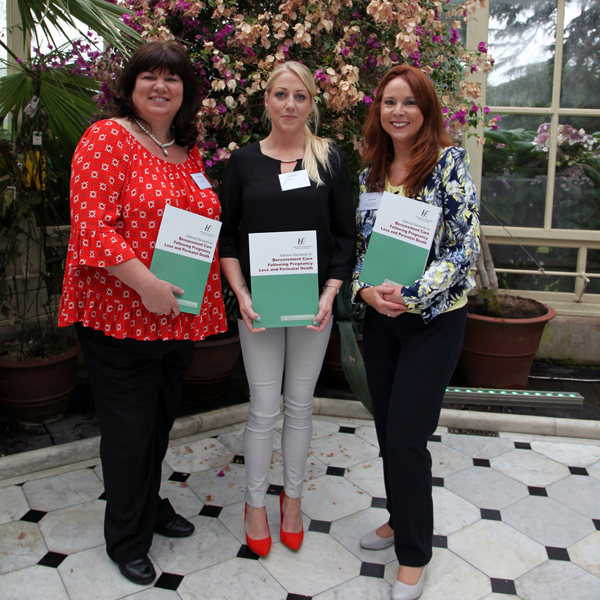 We welcome a move towards better bereavement care, but families need more, they need perinatal hospice care,” said Sarah Nugent of Every Life Counts who attended the launch of the new guidelines today. She said that the loss of a baby was always heart-breaking, but that such losses, which could occur as a result of a life-limiting condition, a stillbirth, or a miscarriage, amongst other reasons, were often not recognised. “Isabella had 54 days, that was her little life, and she brought nothing but love to her family. Her life was important and precious and her passing was almost unbearable but sometimes that’s not recognised, nor is the fact that parents need professional support and bereavement counselling after your baby dies,” she said. 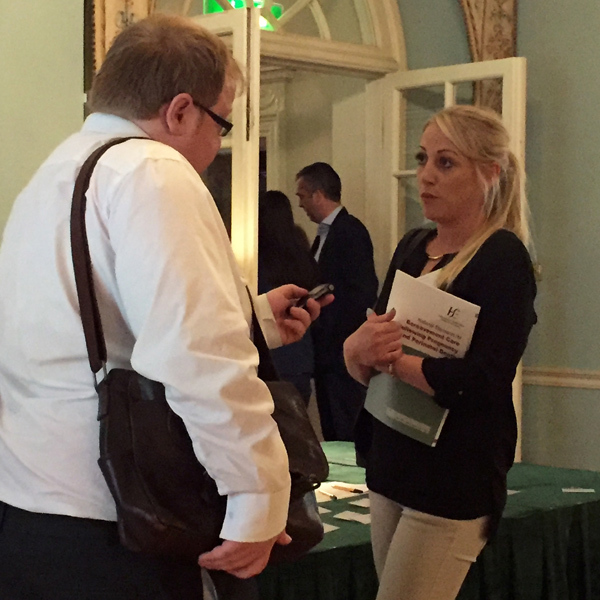 Ms Nugent said that there was an urgent need to establish proper perinatal hospice care for families where baby was not expected to live long after birth. “Right now, parents are being told their baby is very sick, because a condition like anencephaly or Trisomy 18 might severely shorten their lives, and some of those parents will have to go home and google the condition to find out more. They will get very little help in carrying their babies and in trying to pour a lifetime of love into the short hours or days they may have with baby after birth. Parents deserve better than this,” she said.